With summer sizzling sizzling outside, MCT is keeping the competitive spirit going with a morning of Bowling. Whether you have bowled before or not, this is a great opportunity to get together with friends for a fun morning of games. 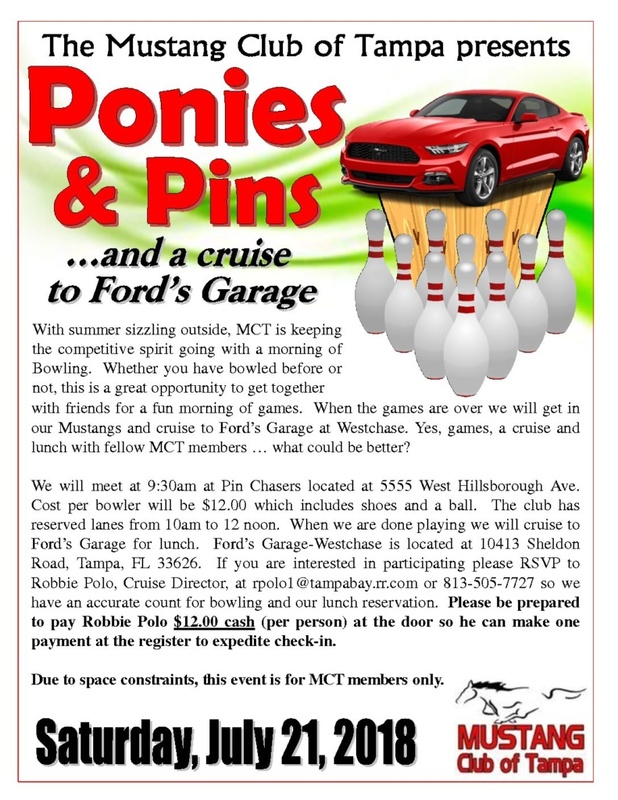 When the games are over we will get in our Mustangs and cruise to Ford’s Garage at Westchase. Yes, games, a cruise and lunch with fellow MCT members… what could be better? We will meet at 9:30 am at Pin Chasers located at 5555 West Hillsborough Ave. Cost per bowler will be $12.00 which includes shoes and a ball. The club has reserved lanes from 10am to 12 noon. When we are done playing we will cruise to Ford’s Garage for lunch. Ford’s Garage-Westchase is located at 10413 Sheldon Road, Tampa, FL 33626. 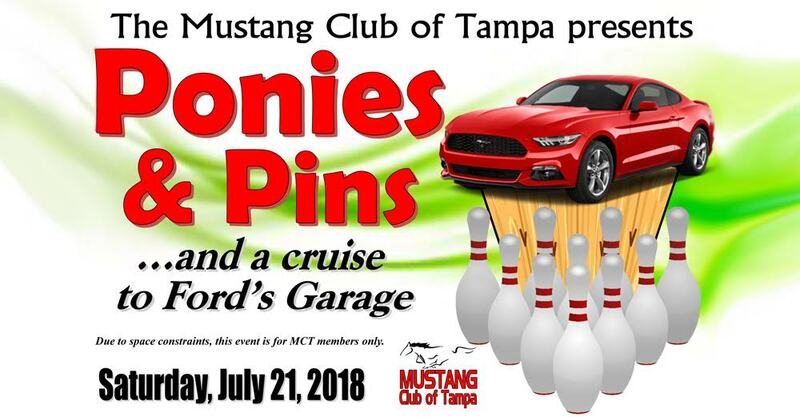 If you are interested in participating please RSVP to Robbie Polo, Cruise Director, at rpolo1@tampabay.rr.com or 813-505-7727 so we have an accurate count for bowling and our lunch reservation. Please be prepared to pay Robbie Polo $12.00 cash (per person) at the door so he can make one payment at the register to expedite check -in. Due to space constraints, this event is for MCT members only.